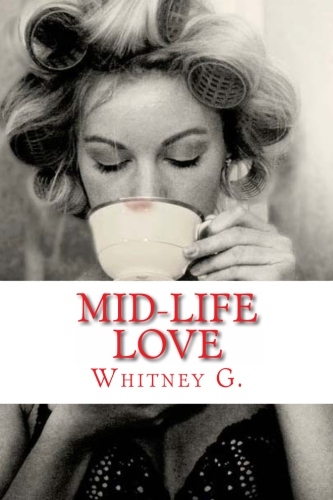 NEW RELEASE + GIVEAWAY: MID-LIFE LOVE BY WHITNEY G.
“Maybe there’s a lack of chemistry?” I nearly stuttered. We stood gazing into each other’s eyes and I realized that I needed to get him out of my house and get back to my bubble bath. He silenced me with a kiss and I kissed him back with a passion I’d never felt before. He reached down and untied my robe, pushing it off my shoulders and onto the floor. Smiling, he assaulted my mouth with his tongue again, using his hands to tug at the drawstring on my pants. All of sudden, I felt a vibrating sound going off in my pocket. Before I could reach down and shut it off, he reached into my pants and pulled out my favorite purple friend.